Today I’m pleased to be able to introduce one of the newest voices from the Accent Press stable, Kelly Hambly. Kelly’s new book, is one of the very first of Accent’s brand new Young Adult/Teenage fiction publications. 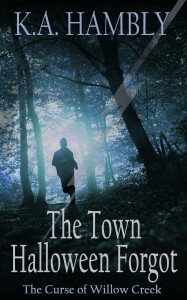 The Town Halloween Forgot, The Curse of Willow Creek is Kelly Hambly’s debut novel with Welsh publisher, Accent Press. Kelly is a Welsh author of Fantasy and horror. She lives in Swansea with her husband and two children. Halloween is a YA novel, inspired by her children and the move to their new house, where she states her kids were convinced the hallway was haunted. Whether it is or isn’t, this gave her an idea to write a young adult fantasy novel. It took about a year to write and she was even going to self-publish it, until she decided on a whim to try her luck with a publisher. As her children were her main influence, she even named the main character, Danny, after her son. Sometimes Halloween is all trick, and no treat. Danny Hallows is no ordinary fifteen year old. 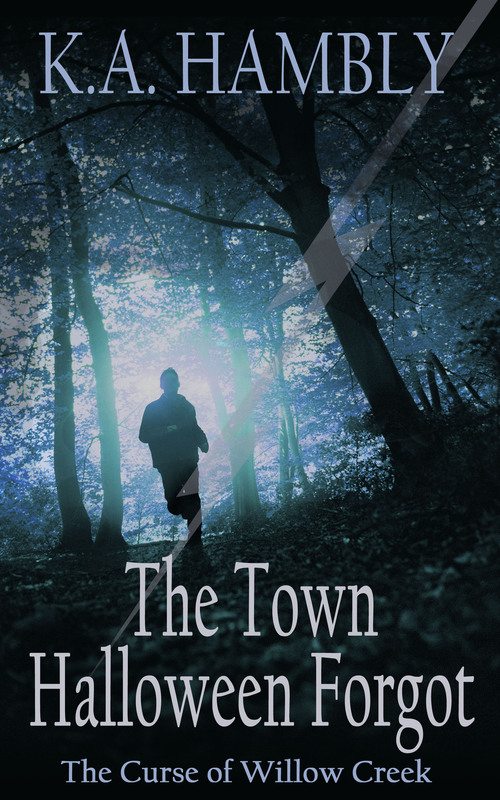 After his parents’ divorce, he relocates to a small Welsh town called Willow Creek where he accidentally sets off the beginnings of a 600 year old prophecy. Discovering his family are related to the last witch of the 1656 witch trials, he is faced with protecting his family’s legacy and saving Halloween from the dark sorceress Morwenna, who is hell bent on revenge for what Danny’s great-grandmother did to her all those years ago. Can Danny stop the prophecy before it’s too late? I hope that has whetted your appetite for a bit of an autumnal spooky read!! Good luck with your first book Kelly! Having read a lot of Kelly Hambly’s work I am really excited about this and know that with any of her books you are going to have a scarily good time.